The kinematic sequence looks at the sequence of movements that is most effective and efficient for increasing the speed at distal segment of the body or an implement. 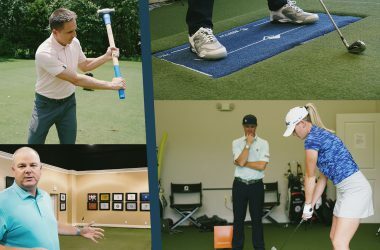 From hitting a golf ball to hitting a baseball to kicking a soccer ball, to create maximum speed the body rotates from the large segments to smaller more distal segments. Energy is transferred first through the big muscles, through the part of the body such as the pelvis then the thorax, then to the arm, and then to the club. It’s a sequence of accelerations and decelerations, transferring energy. By optimizing this sequence we’re looking at getting the most power or energy to the ball as possible. So we go from big muscles to small and release them in a sequential order to get the most effective transfer of energy. 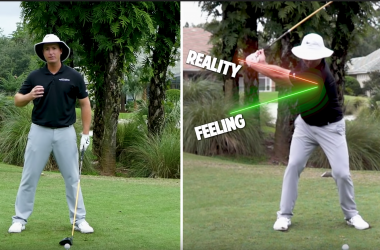 One benefit of optimizing the sequence is, you’ll get the highest club head speed possible while the other benefit is for the less amount of work you can generate just as much energy. It’s a way of maintaining high club head speed without killing yourself or without working too hard on every single swing. What's measured in the kinematic sequence? What’s measured in the kinematic sequence? 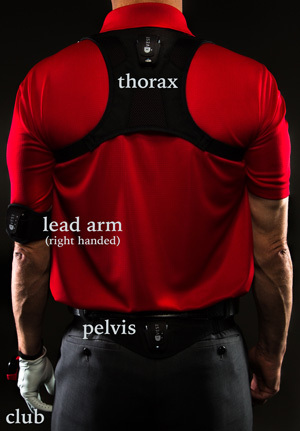 The four primary segments measured in the kinematic sequence are pelvis, thorax, lead arm, and club. 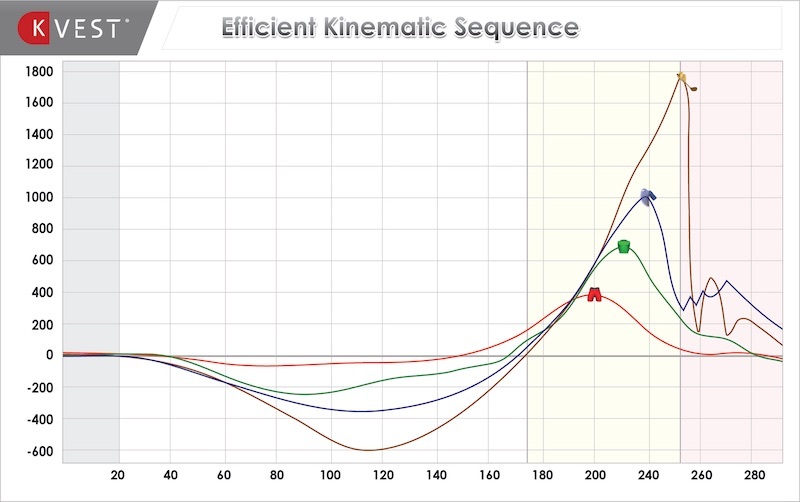 The kinematic sequence we’re talking about the majority of the time is the rotational kinematic sequence which measure rotational velocity of body segments. If I would have jumped up and spin around 360 degrees in a full twist jump and it took me a second to do that then my rotational velocity or rotational speed would have been 360 degrees per second so that’s what we’re measuring in the kinematic sequence, how fast the pelvis is turning, how fast the thorax is turning and then how fast the arm and the club are actually swinging like a pendulum. What are the two most important phases of the kinematic sequence? You’ll have to listen in below to find out. 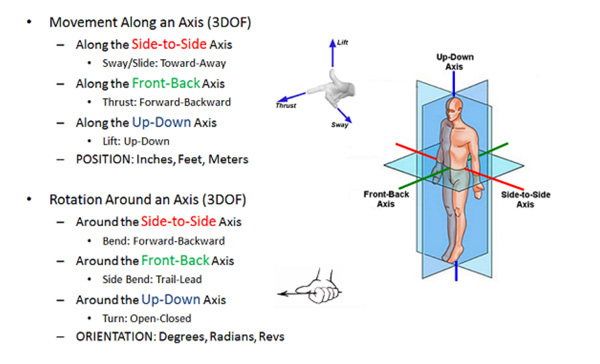 The first 3 degrees are linear motion including forward, back, left, right and up and down. You can move your hips towards the target, away from the target (sway and slide). You can push your hips forward and backwards towards the ball and away from the ball(thrust). You can drop your hips up or down so (drop and lift). Those are all three degrees of freedom of motion but that’s only three of six. Let’s take the head, for example, you can move your head from side to side, up, down, forward, back but that doesn’t tell me what direction I’m looking. I can look down, I can look up, I can look left, I can look right, and I can tilt my head to the right side and to the left side. That’s another three degrees of freedom. When we’re referring to the pelvis or the ribcage we call that forward bend, side bend, and turn. There’s your rotational degrees of freedom, angular degrees of freedom and that’s measured in degrees. We have three degrees of freedom that are measured in feet and inches or meters and centimeters and then we have another three degrees of freedom that are measured in degrees. One’s linear, one’s angular. Dr. Phil Cheetham is currently the senior sport technologist and biomechanist for the United States Olympic Committee at the Olympic Training Center in Chula Vista, California. He currently works primarily with athletics and golf, but has also worked with many sports including gymnastics, swimming and diving. He has been a member of the US Olympic Team staff for both the London (2012) and Rio (2016) Olympic Games. In Rio several of the athletes he works directly with won gold and silver medals. Phil is also two-time Olympian himself at Montreal (1976), and Moscow (1980), in gymnastics for Australia. He was also three times gymnastics all-around champion of Australia in the 1970’s. 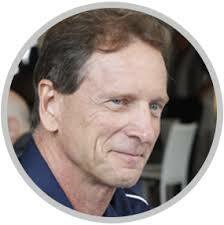 He has been an inventor and developer of sport motion analysis systems and sensors since the early 1980’s. He has been a co-founder of several biomechanics and motion analysis companies including: Peak Performance Technologies, Skill Technologies, Advanced Motion Measurement, and Skilled Motion Concepts. 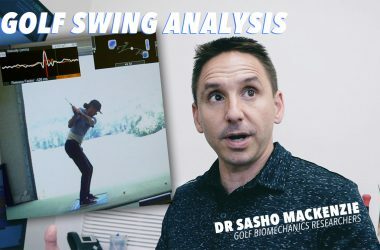 He is considered a pioneer in the motion analysis industry and his biomechanics methods have become a de-facto standard in 3D golf swing analysis. He is a board member for the World Scientific Congress of Golf and the Titleist Performance Institute. 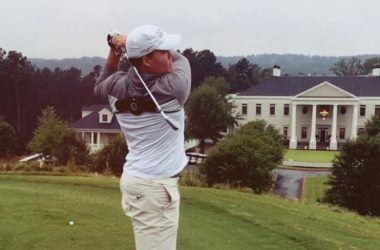 In golf his research publications include; “The X-Factor Stretch”, “The Kinematic Sequence” and a PhD dissertation on “Club Handle Twist Velocity in the Golf Drive”. He has an Honors Degree in Electrical Engineering from the University of New South Wales, Sydney, Australia, a Master of Science and a PhD in Exercise Science and Biomechanics from Arizona State University, Phoenix, Arizona, U.S.A. If you want to learn more make sure to check out Dr Phil Cheetham’s FORCES AND MOTION workshop starting soon.